Are you looking for a replacement garage door in Milwaukee? You’ve come to the right place. 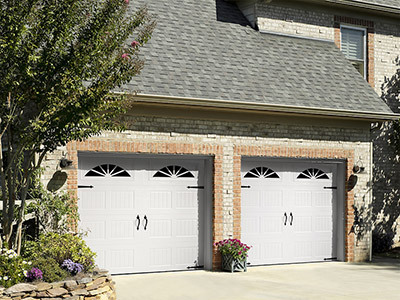 Feldco offers several different styles of garage doors to make the largest door of your house look beautiful. Our garage doors feature all steel construction with options for insulation so that you can keep your garage warmer in the winter and cooler in the summer. Our garage doors also come complete with the latest garage door openers and are professionally installed so that they operate at their peak for years to come. Besides providing a beautiful appearance for your garage, Feldco garage doors are also wind resistant for those windy Milwaukee days. 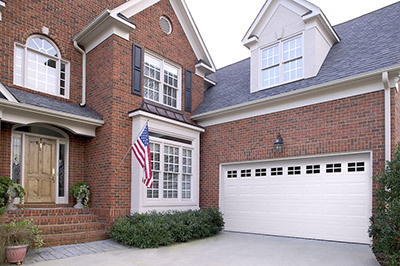 We offer two distinct styles of garage doors that will complement any Milwaukee home. All of our garage doors are available in several widths that will accommodate both single car and double car openings. Our standard series of garage doors are sectional and made of heavy duty steel. We offer many different style options including decorative glass styles and panel styles. 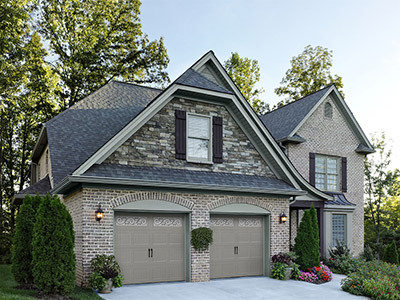 Nothing compares to the classic look of a beautiful carriage house garage door. These are sectional garage doors that feature all of the same benefits of standard garage doors but with some added hardware to make them pop. Choose from three levels of insulating protection on Feldco garage doors. All of our garage doors are energy efficient and installed to tight tolerances to avoid air leakage. If you spend a lot of time in your garage or just want to save some money on energy bills, our insulated garage doors are for you. Every garage door we offer comes complete with warranty and installation by expert garage door installers. That includes installation of the sectioned panels of your new garage door as well as installation of the garage door opener. Feldco is the perfect choice for Milwaukee residents seeking garage door replacement due to the value of our total package as well as our friendly service.